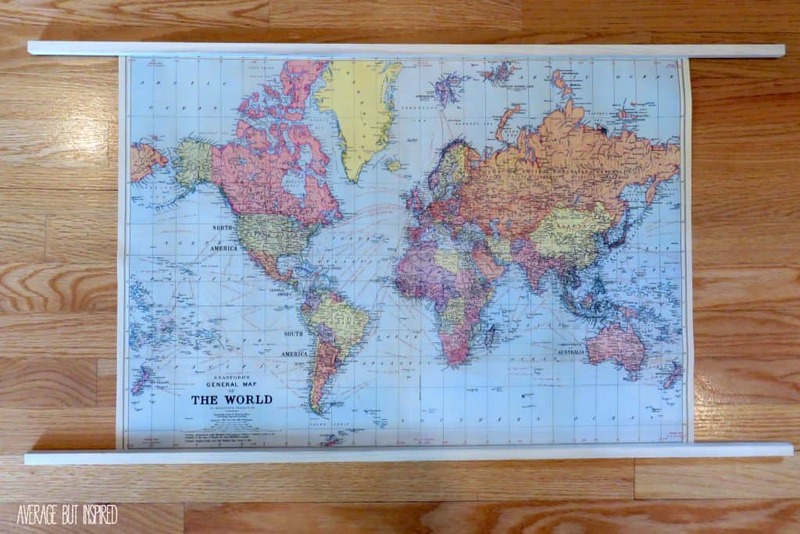 Several months ago while finishing up my son’s big boy bedroom makeover, I found some super cool map wrapping paper at Paper Source (one of my favorite shops in the whole wide world!). 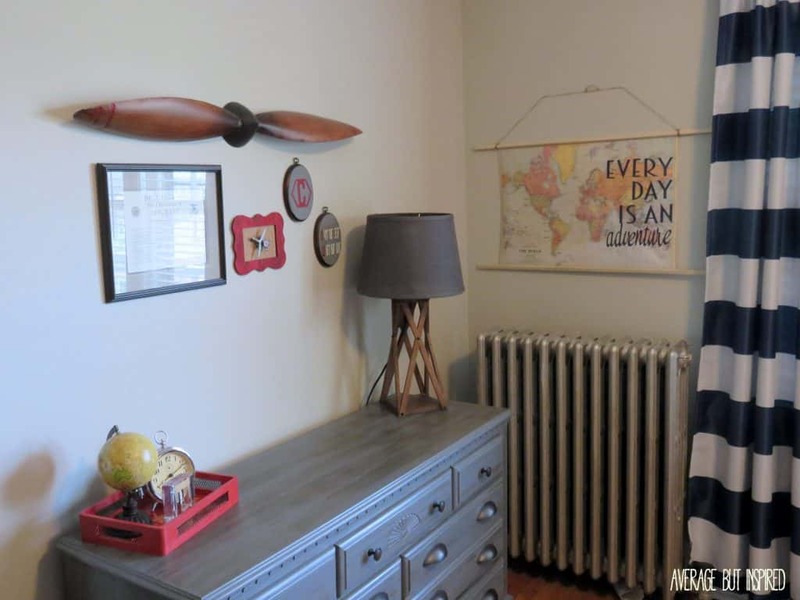 I knew it would be a perfect addition to his vintage aviation themed bedroom, so I brought it home and turned it into this easy DIY map art! Some of these links are affiliate links. To read my full disclosure policy, please click here. First up, trim your dowels, if desired. I left mine the length they came because they were perfect for the wrapping paper I was working with. 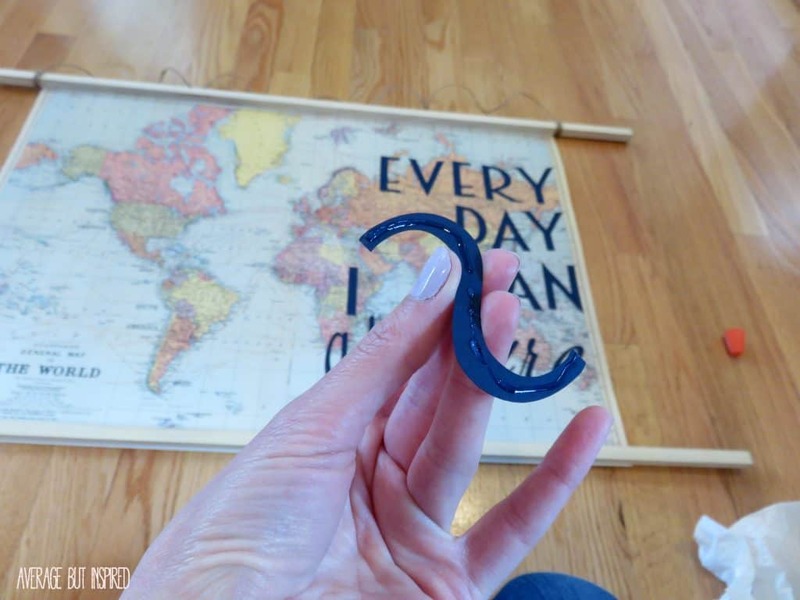 You could also stain the dowels at this point if you want a different color! 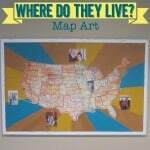 Next, apply foam mounting tape along the top and bottom edges of the map. Press the dowels onto the foam mounting tape. 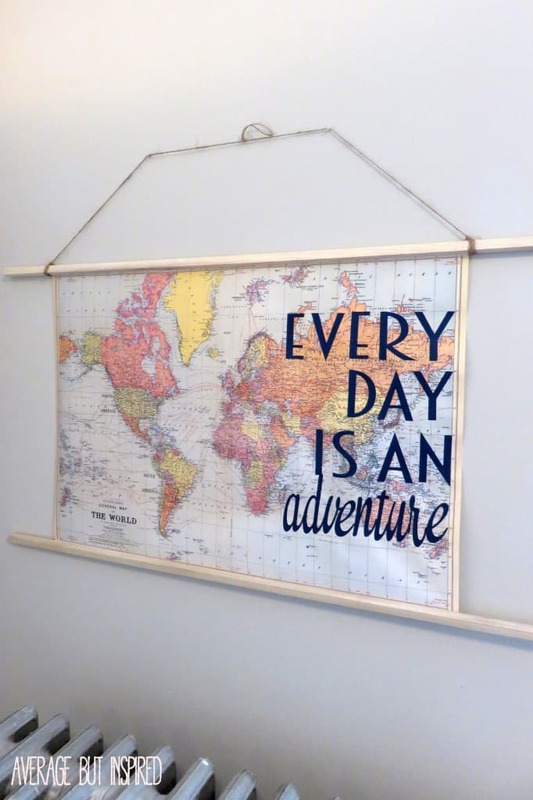 Tie twine to the ends of the top dowel so that you can hang the map once you’re finished adding the quote to it. 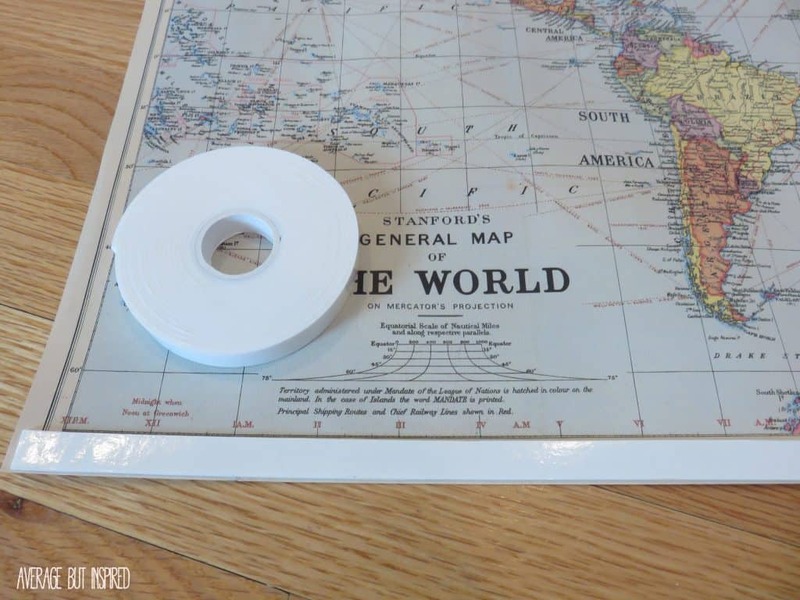 Next, cut your letters in scrapbook paper with an electronic cutting machine if you have one. That’s how I made my letters. 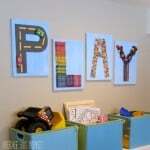 Alternatively, use letter stickers to spell out your quote! Play around with the layout prior to making any permanent placement decisions! 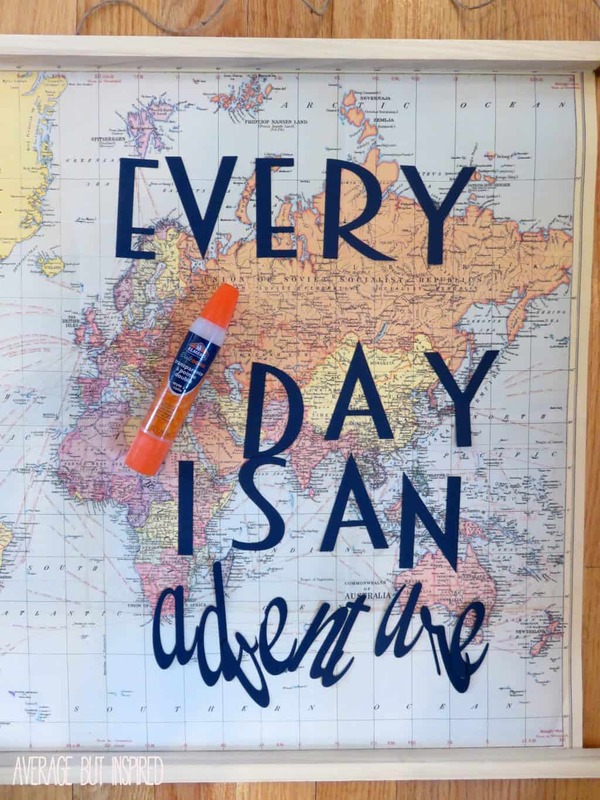 Finally, glue the letters down or stick them into place! 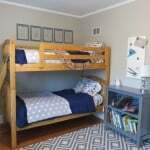 This project is totally customizable! You could use any quote that inspires you and really make it your own! Not bad for a piece of wrapping paper, don’t you think? This is such a cool idea. 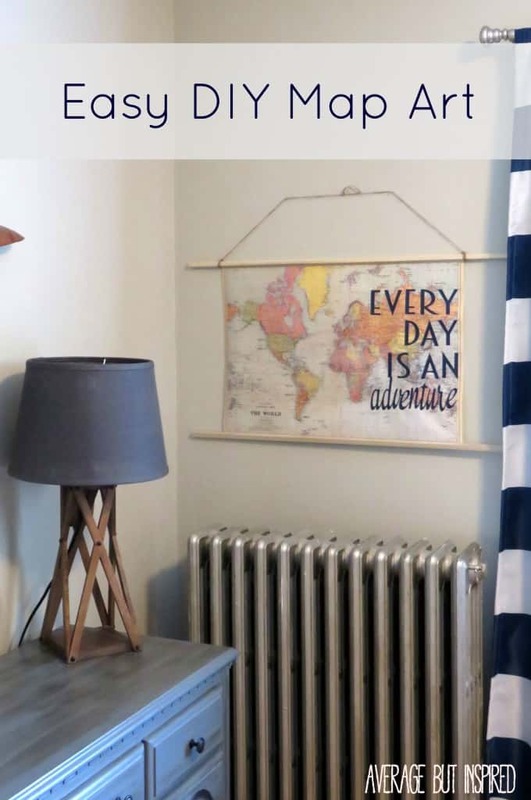 It looks perfect with the rest of the decor in his room.